Apple’s CarPlay: The future of in-car technology? According to a 2015 Deloitte survey, 80% of Australian adults own at least one smartphone. While it’s well known that driving while looking at your phone is a big no-no that attracts big fines and causes accidents, Australian drivers are finding it increasingly difficult to slip their one stop entertainment-communication-navigation device away in their pocket for long enough to safely commute. While nobody likes to admit it, a government survey found that a shockingly high 59% of Australian drivers have used their smartphone while driving. Most buyers of new cars today expect some kind of on-board computer that combines mobile phone functions like voice-answering of calls and navigation. Historically, rather than partnering with mobile device companies, car manufacturers have been relying on in-house developed car tech, which meant that a lot of the displays were clunky and lacked even the basic functionality of iOS or Android devices. While on-board computers and mounts have provided some hand-free relief, Apple’s release of Apple CarPlay is the newest solution to our national addiction to in-car smartphone use. CarPlay replicates the iPhone home screen in the on-board display when connected to the car via the lightening cable, and allows the iPhone to be controlled using steering-wheel knobs and voice control. The inbuilt assistant, Siri, can be used to compose texts, find points of interest, play songs and make phone calls. While Apple says that CarPlay will give drivers a “smarter, safe and more fun way to use their iPhone in the car,” critics have suggested that with its limited functionality (there is no access to games or social media) and normalization of mobile phone use while driving will compromise safety. 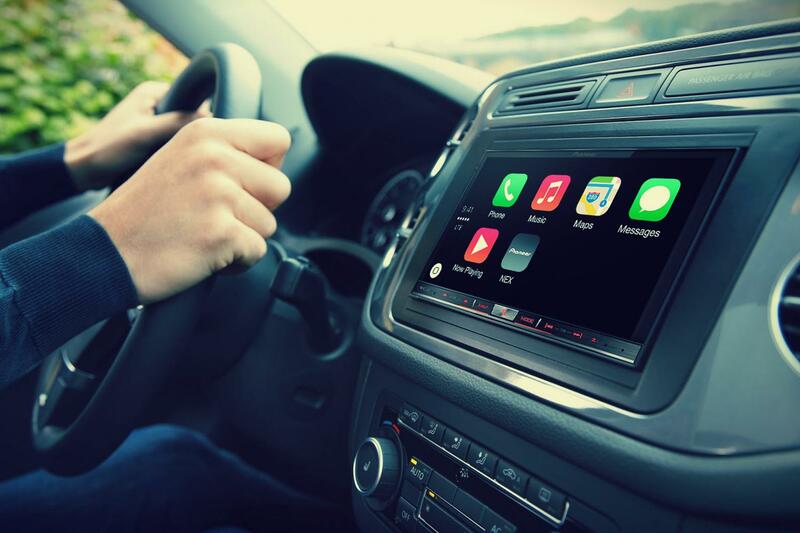 Despite these warnings, Apple CarPlay is set to be rolled out across all major manufacturers as a bid to get younger people to love cars again. Dire warnings across the industry have shown that Millennials are shunning car ownership in alarming numbers and car manufacturers are scrambling to reverse the trend. While many young people are increasingly looking for ways to integrate technology into their every day lives, concerns remain among Millennials about the privacy of CarPlay’s destination anticipation function which works by gathering information from recent trips, contacts, emails and texts. It seems that only time will tell if this technology reaches its desired goals of attracting young car buyers to the new-car market and minimising distractions. A full list of which cars will have CarPlay enabled systems is available on Apple’s website.